Saidpur Enterprises has been in existence for more than 40 year and comprises two groups: Action Bag and Eastern Screen Printers. 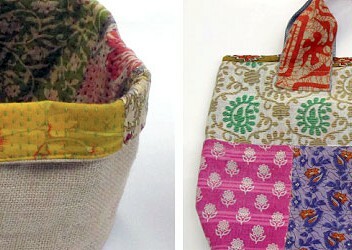 At Action Bag the women artisans make a variety of bags and baskets of jute and recycled fabrics (mainly sarees). 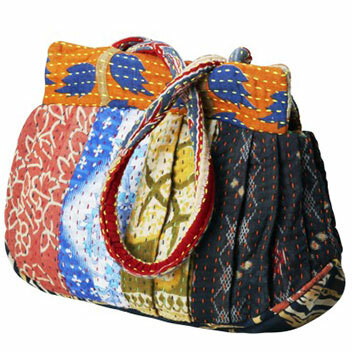 These fabrics are beautifully stitched together with the traditional Kantha work; running stitches embroidered by hand. Eastern Screen Printers specializes in the design and production of greeting cards adorned with many different materials and decorations.